The Cooper Basin covers an area of approximately 127,000 sqkm and extends across the northeast of South Australia and southwest of Queensland. The Eromanga Basin covers an area of approximately 1,000,000 sqkm and extends over South Australia, Northern Territory, Queensland and New South Wales. 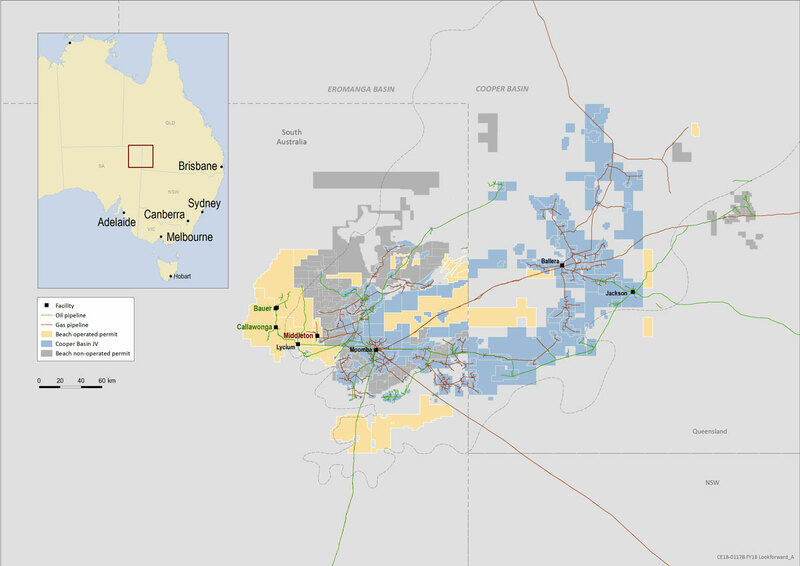 The Cooper-Eromanga basin is Australia’s most prolific oil and gas basin and continues to yield new discoveries. 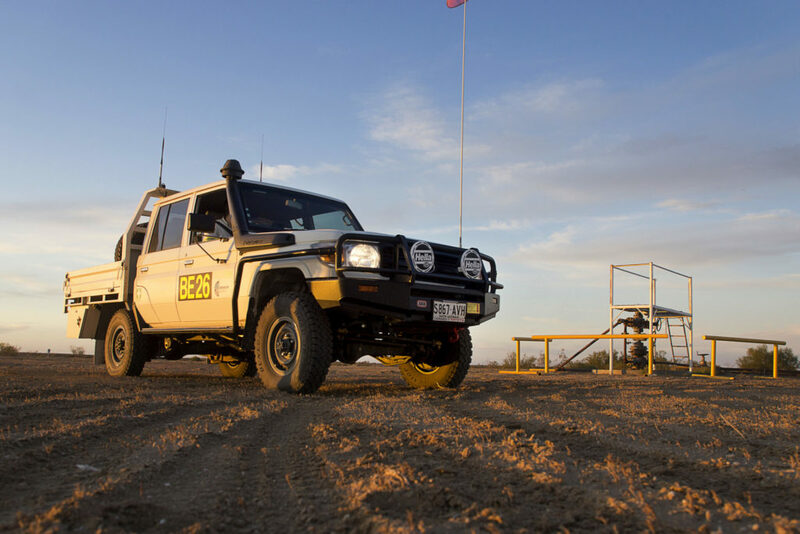 Through Beach’s Western Flank oil and natural gas operations, our Cooper Basin joint venture partnerships and other activities in the region, the basin remains a substantial part of our operations. 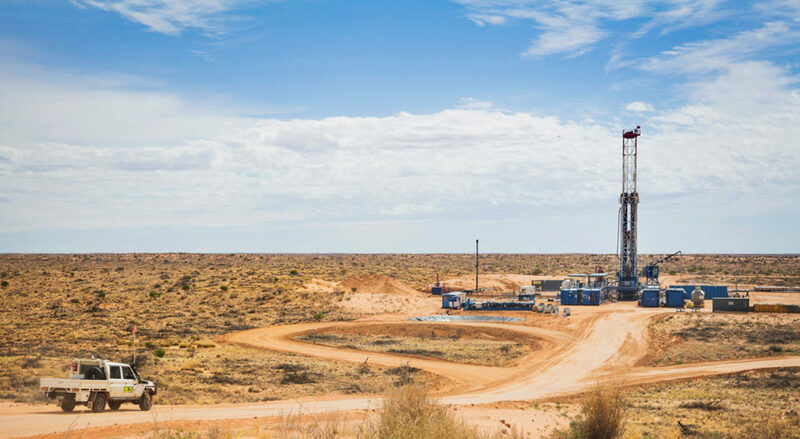 In FY19, Beach plans to participate in up to 87 Cooper Basin JV wells (+36% from FY18), with up to 65 wells targeting gas and 22 oil and up to 43 Western Flank wells, with 35 targeting oil. In FY18, Beach drilled 95 wells in the Cooper Basin with a success rate of 82%. The Cooper Basin is a Permian to Triassic aged sequence of sediments deposited in a terrestrial fluvial-lacustrine environment. The major source rock units within the Cooper Basin are the Permian aged coals and carbonaceous shales in the Patchawarra and Toolachee Formations. Natural gas reservoirs are found in sandstones in multiple formations including the Patchawarra Formation, Epsilon Formation and Toolachee Formation. The Triassic aged Nappamerri Group sequence provides a regional seal for the Cooper Basin and separates the Cooper Basin from the overlying Eromanga Basin. The Eromanga Basin is Jurassic to Cretaceous in age and is a sequence of sediments of marine and fluvio-lacustrine in origin. 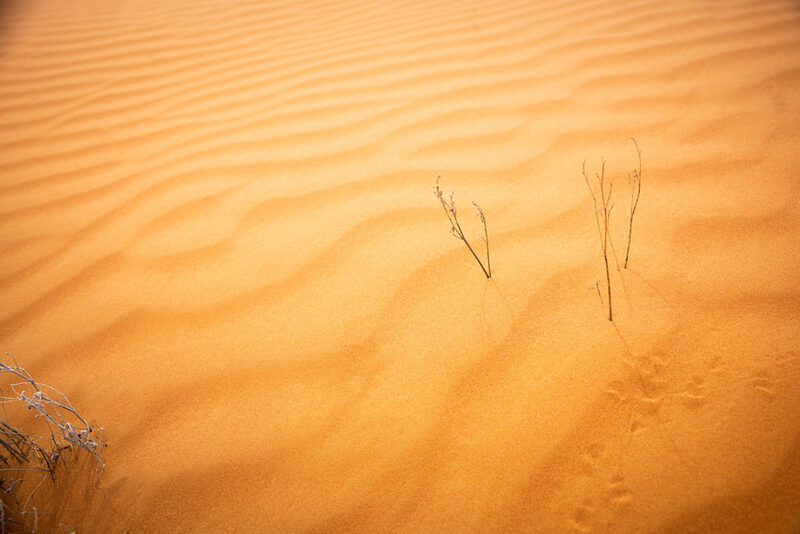 Oil is commonly found within the high deliverability sands of the Namur and Hutton sandstone units and is sourced from the underlying Cooper Basin.